This is why I wanted to protect those bright sky tones. I actually want a dark, brooding sky, but I need some proper image detail to start with. Because I’ve got that, I can now add a control point to the sky and reduce the brightness (I’ve boosted the contrast and structure as well) to bring out some really strong, rich cloud detail. 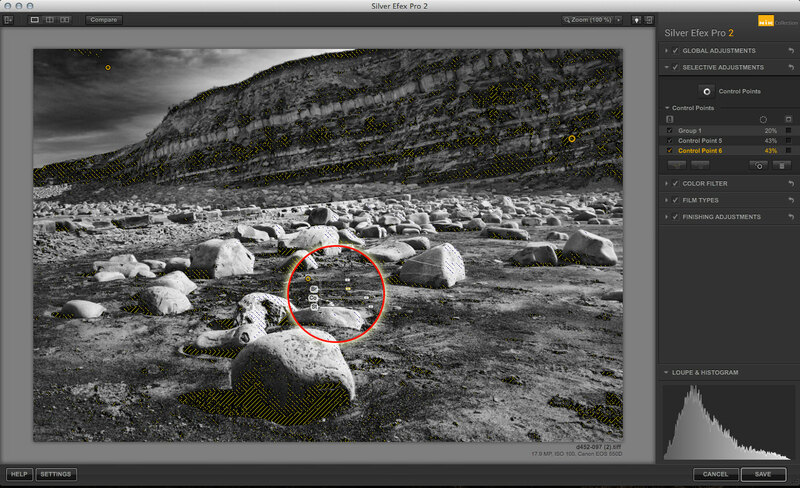 I think the foreground needs a boost, so I’ve added a new control point (I’ve circled it because it’s quite hard to see). 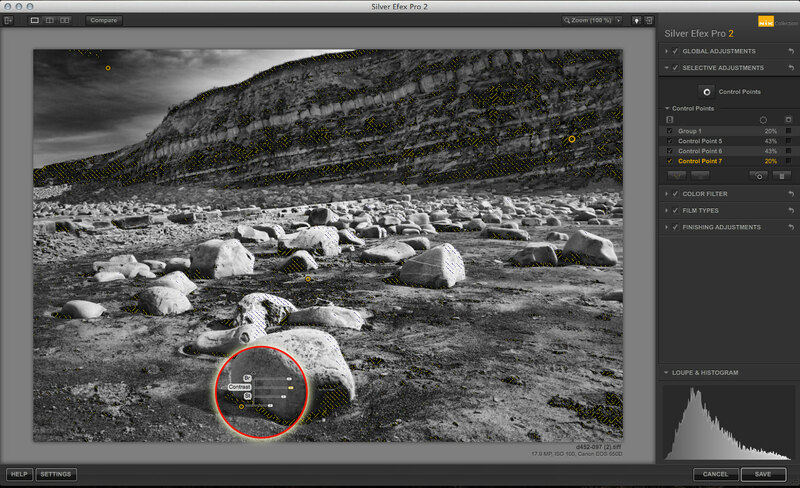 I’ve used this to reduce the brightness and increase the contrast and structure. If you compare this with the previous shot, though, you’ll see how the shadows beneath the large rock at the base of the picture are now clipped quite heavily. I’m going to fix this with one more control point placed directly in the rock’s shadow. I’ve increased the contrast and the brightness just enough to give the shadows a lift, but I’m not going to try to stop it clipping altogether. 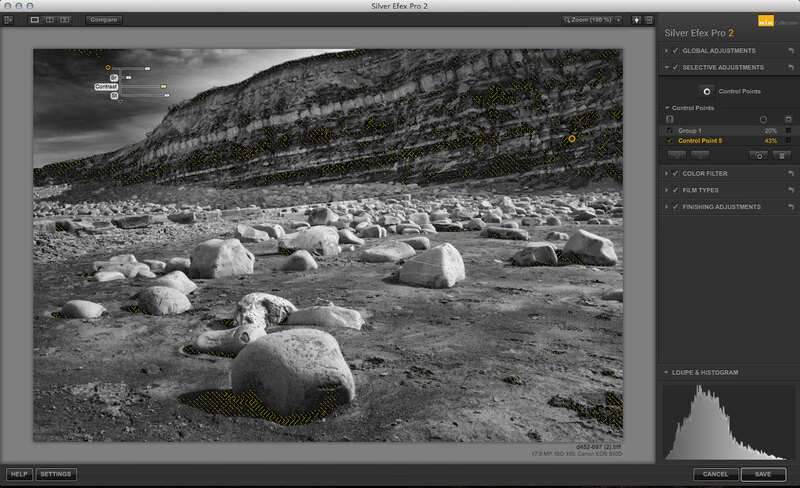 A little clipping doesn’t hurt, and if you avoid it completely, it’s hard not to end up with flat-looking pictures.